So I assume you ate breadfruit in Belize? Your MOM is an excellent cook but she does need more work with breadfruit. 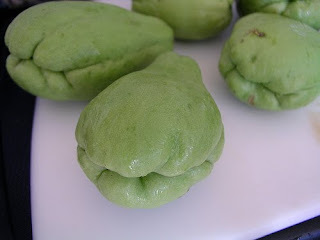 I'm afraid to ask for Chayote for tomorrow night's veggie. But first I need to learn how to pronounce it. Nope, I ate breadfruit when Mom prepared it (yes, more practice would be good) and a cuban restaurant.